The schematic plan of the south-eastern part of the Goods Depot shows this heritage (click on image to enlarge). 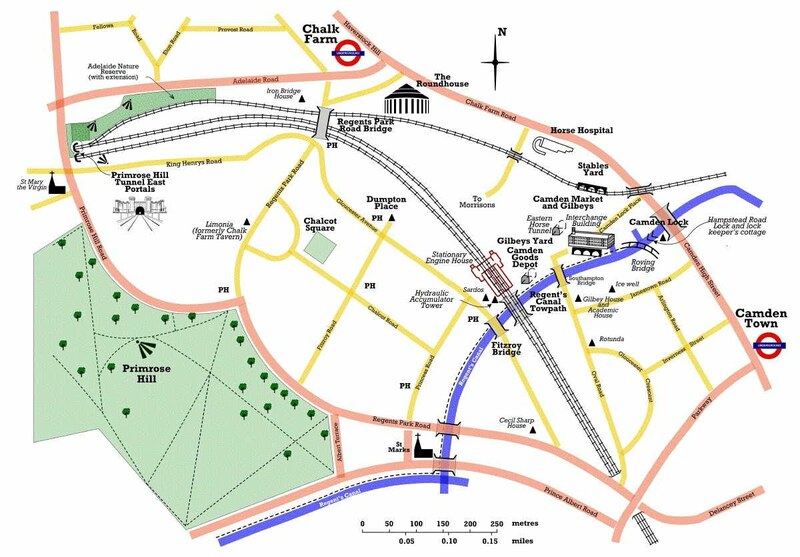 Only slightly further afield lies the Roundhouse, and a little further still the Primrose Hill Tunnel portals, both Grade II* listed structures, elements of very early phases of railway development. The overall area is shown in the schematic map below. The proposal to upgrade the Stables Complex to Grade II* resulted in the upgrade of the Horse Hospital in January 2013. There are now four structures or groups of structures with such significance, as well as a host of Grade II structures. Grade II* structures are those of national and international importance, and represent, with Grade I, about 7% of listed structures. 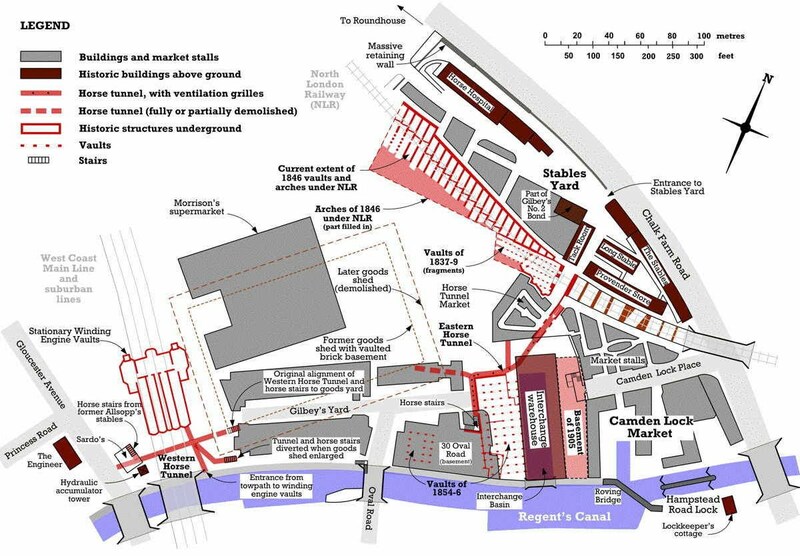 Given the popular appeal of the Camden market complex, and the fascination with early railway heritage, interest both nationally and internationally is potentially enormous, particularly if the history of the former goods yard can be imaginatively explained.